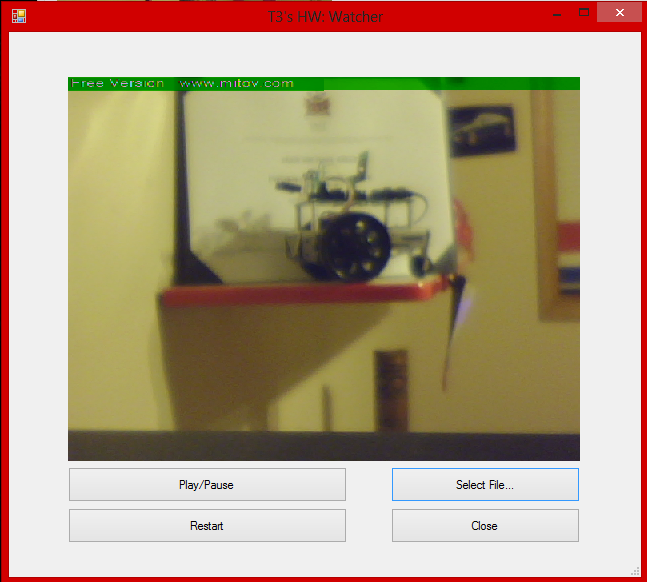 Watcher 2 is a video surveillance program designed to detect motion in front of the cameras and then records the events to the Hard Drive of the computer. Watcher is able to leverage four different cameras at the same time to make for a complete home/work surveillance system. Other features of Watcher include remote storage of video files, automatic video rotation and video compression. 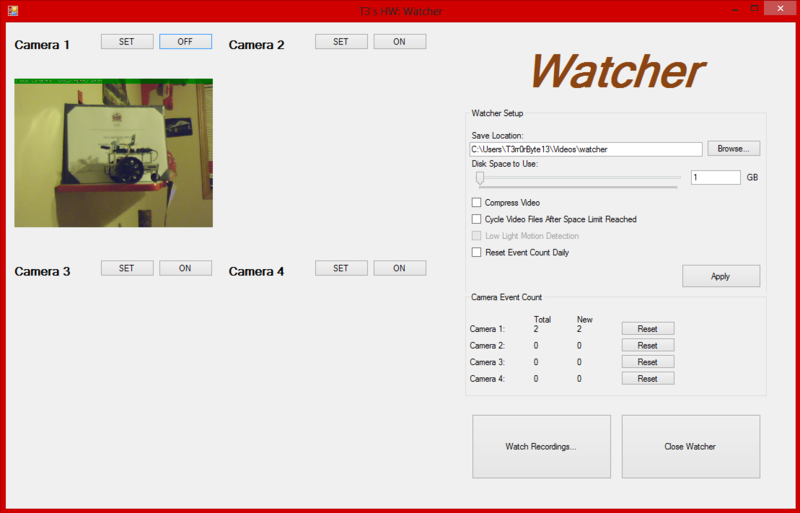 Usage of Watcher is simple, just plug in the USB web cam into your computer then launch the program. Set the save location of the files and the number of GB of hard drive space to use and any other features you want to use, then hit apply. Now set the camera you want to use for each video display and turn the Camera on. The events occurring in the Camera's field of view will be logged at the save location.